Visa requiremens for students that want to study in North Cyprus are different for students depending on their citizenship. Select you country below, learn about the relevant regulations and find the embassies and consulates in your country! Afghanistan ordinary passport holders are required to have a visa to enter Turkey or North Cyprus, therefore, students need to visit the embassy and apply for a visa before travelling to North Cyprus or Turkey. Once a student secures the acceptance letter and tuition fee payment confirmation letter from the university they are ready to apply for a visa at the local embassies. Please note that Application Forms are to be filled at the the embassy. Students from .Albania. do not need to obtain a study Visa and can get Visa on arrival! Albania ordinary and official passport holders are exempt from visa for their travels up to 30 days. Students do not need to apply for a visa before traveling to North Cyprus. Algeria ordinary passport holders are required to have a visa to enter Turkey or North Cyprus, therefore, students need to visit the embassy and apply for a visa before travelling to North Cyprus or Turkey. Once a student secures the acceptance letter and tuition fee payment confirmation letter from the university they are ready to apply for a visa at the local embassies. Andorra ordinary passport holders are required to have a visa to enter Turkey or North Cyprus, therefore, students need to visit the embassy and apply for a visa before travelling to North Cyprus or Turkey. Once a student secures the acceptance letter and tuition fee payment confirmation letter from the university they are ready to apply for a visa at the local embassies..
Students from .Argentina. do not need to obtain a study Visa and can get Visa on arrival! Argentina ordinary passport holders are exempted from a visa to enter Turkey or North Cyprus, therefore, students need to visit the embassy and apply for a visa before traveling to North Cyprus or Turkey. Once a student secures the acceptance letter and tuition fee payment confirmation letter from the university they are ready to apply for a visa at the local embassies. Angola ordinary passport holders are required to have a visa to enter Turkey or North Cyprus, therefore, students need to visit the embassy and apply for a visa before traveling to North Cyprus or Turkey. Once a student secures the acceptance letter and tuition fee payment confirmation letter from the university they are ready to apply for a visa at the local embassies. Students from .Antigua and Barbuda. do not need to obtain a study Visa and can get Visa on arrival! Students from .Armenia. do not need to obtain a study Visa and can get Visa on arrival! Azerbaijan ordinary passport holders are exempted from visa requirement for their travels to Turkey up to 30 days. Official passport holders are exempt from visa requirement for their travels up to 90 days. (120 eVisa issued upon arrival). Austria ordinary passport holders are required to have a visa to enter Turkey or North Cyprus, therefore, students need to visit the embassy and apply for a visa before travelling to North Cyprus or Turkey. Once a student secures the acceptance letter and tuition fee payment confirmation letter from the university they are ready to apply for a visa at the local embassies. Students from .Bahamas. do not need to obtain a study Visa and can get Visa on arrival! Bahamas ordinary and official passport holders are exempted from visa for their travels up to 8 months . Students do not need to apply for a visa before traveling to North Cyprus once they secure their acceptance letter and tution fee payment confirmation, they are ready to travel. Students from .Barbados. do not need to obtain a study Visa and can get Visa on arrival! Barbados ordinary and official passport holders are exempt from visa for their travels up to 6 months. Students do not need to apply for a visa before traveling to North Cyprus once they secure their acceptance letter and tution fee payment confirmation, they are ready to travel. Belgium ordinary passport holders are required to have a visa to enter Turkey or North Cyprus, therefore, students need to visit the embassy and apply for a visa before travelling to North Cyprus or Turkey. 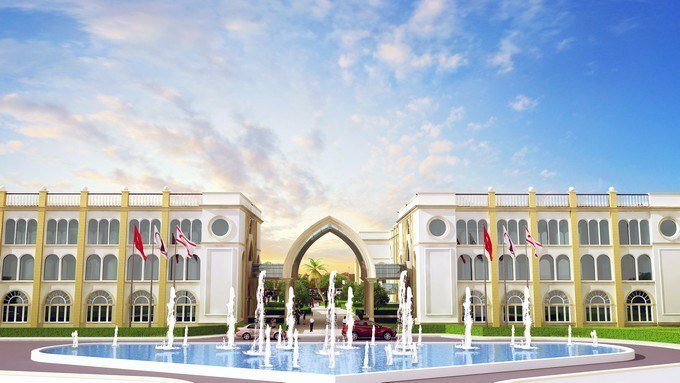 Once a student secures the acceptance letter and tuition fee payment confirmation letter from the university they are ready to apply for a visa at the local embassies. Students from .Belize. do not need to obtain a study Visa and can get Visa on arrival! Belize ordinary and official passport holders are exempt from visa for their travels up to 6 months. Students do not need to apply for a visa before traveling to North Cyprus once they secure their acceptance letter and tution fee payment confirmation, they are ready to travel. Bhutan ordinary passport holders are required to have a visa to enter Turkey or North Cyprus, therefore, students need to visit the embassy and apply for a visa before travelling to North Cyprus or Turkey. 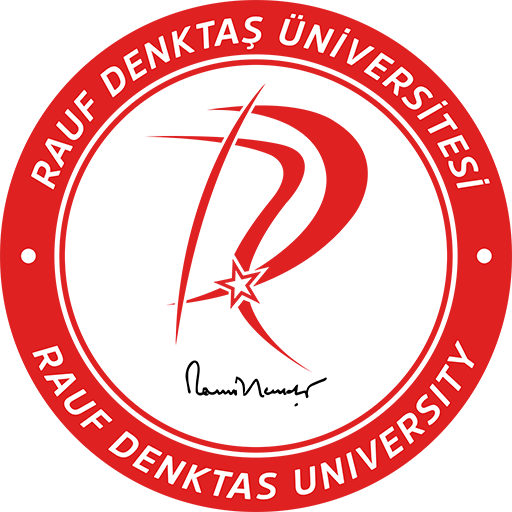 Once a student secures the acceptance letter and tuition fee payment confirmation letter from the university they are ready to apply for a visa from the Turkish Embassies embassies. Ordinary passport holders are required to have a visa to enter Turkey or North Cyprus, therefore, students need to visit the embassy and apply for a visa before travelling to North Cyprus or Turkey. Once a student secures the acceptance letter and tuition fee payment confirmation letter from the university they are ready to apply for a visa at the local embassies. Ordinary and official passport holders are exempted from visa for their travels up to 3 months. Students do not need to apply for a visa before traveling to North Cyprus once they secure their acceptance letter and tution fee payment confirmation, they are ready to travel. Ordinary and official passport holders are exempted from visa for their travels up to 1 month. Students do not need to apply for a visa before traveling to North Cyprus once they secure their acceptance letter and tution fee payment confirmation, they are ready to travel. Students from .Cameroon. do not need to obtain a study Visa and can get Visa on arrival! Cameroon propspective students are exempted from visa requirements hence do not need a visa to travel to North Cyprus or Turkey, however, in order to travel you have to have a flight ticket, an acceptance letter from the university as well as the proof of tuition fee payment. Ordinary passport holders are required to have a visa to enter Turkey or North Cyprus, therefore, students need to visit the embassy and apply for a visa before travelling to North Cyprus or Turkey. Once a student secures the acceptance letter and tuition fee payment confirmation letter from the university they are ready to apply for a visa at the local embassies. (Visa issued on arrival). Students from .Dominica. do not need to obtain a study Visa and can get Visa on arrival! Ordinary and official passport holders are exempt from visa for their travels up to 1 month. Students do not need to apply for a visa before traveling to North Cyprus once they secure their acceptance letter and tution fee payment confirmation, they are ready to travel. Egypt ordinary passport holders are required by law to have visa to enter North Cyprus or Turkey, however, visa not required when travelling as part of the tourist group that consists of at least 10 persons. However if this be not the case, the student is advised to apply at least 3 months before traveling through the local North Cyprus/Turkish embassy for get their study Visa processed. Students from .El Salvador. do not need to obtain a study Visa and can get Visa on arrival! Ordinary and official passport holders are exempt from visa for their travels up to 3 months. Students do not need to apply for a visa before traveling to North Cyprus once they secure their acceptance letter and tution fee payment confirmation, they are ready to travel. Students from .Eswatini (formerly Swaziland). do not need to obtain a study Visa and can get Visa on arrival! Students from .Fiji. do not need to obtain a study Visa and can get Visa on arrival! Ordinary and official passport holders are exempt from visa for their travels up to 4 months. Students do not need to apply for a visa before traveling to North Cyprus once they secure their acceptance letter and tution fee payment confirmation, they are ready to travel. Ordinary passport holders are required to have a visa to enter Turkey or North Cyprus, therefore, students need to visit the embassy and apply for a visa before travelling to North Cyprus or Turkey. Once a student secures the acceptance letter and tuition fee payment confirmation letter from the university they are ready to apply for a visa at the local embassies. (Visa issued on arrival).Electronic visa holders must arrive via Libreville International Airport. Ordinary and official passport holders are exempted from visa for their travels up to 12 months. Students do not need to apply for a visa before traveling to North Cyprus once they secure their acceptance letter and tution fee payment confirmation, they are ready to travel. Ghana ordinary passport holders are required to have a visa to enter Turkey or North Cyprus, therefore, students need to visit the embassy and apply for a visa before travelling to North Cyprus or Turkey. Once a student secures the acceptance letter and tuition fee payment confirmation letter from the university they are ready to apply for a visa at the local embassies. Students from .Haiti. do not need to obtain a study Visa and can get Visa on arrival! Students from .Honduras. do not need to obtain a study Visa and can get Visa on arrival! Students from .Jamaica. do not need to obtain a study Visa and can get Visa on arrival! Jordan ordinary passport holders are exempted from a visa for their travels with touristic purposes and transit to/from Turkey or North Cyprus up to 90 days within six months, starting from the first entry date. Therefore, once a student secures the acceptance letter and tuition fee payment confirmation letter from the university they are ready to book a flight and travel. Kazakhstan ordinary and official passport holders are exempted from visa for their travels up to 30 days. Students do not need to apply for a visa before traveling to North Cyprus once they secure their acceptance letter and tution fee payment confirmation, they are ready to travel. Students from .Micronesia. do not need to obtain a study Visa and can get Visa on arrival! Students from .Maldives. do not need to obtain a study Visa and can get Visa on arrival! Students are advised to apply for e-visa to save time or simply process their visas after traveling to North Cyprus. This means that after receiving the acceptence letter you can immediately make your travelling arangements. Students from .Marshall Islands. do not need to obtain a study Visa and can get Visa on arrival! Students from .Nicaragua. do not need to obtain a study Visa and can get Visa on arrival! Students from .Monaco. do not need to obtain a study Visa and can get Visa on arrival! Students from .Namibia. do not need to obtain a study Visa and can get Visa on arrival! Students from .Nauru. do not need to obtain a study Visa and can get Visa on arrival! Students from .Nepal. do not need to obtain a study Visa and can get Visa on arrival! Kindly note that the Turkish Embassy has not been established in Niger yet. You should apply for a Turish e-visa online for saving time. You will get the Turkish eVisa approval letter before leaving Niger for Turkey, so that you can pick up Turkish eVisa at the arriving airport. Students from .Palau. do not need to obtain a study Visa and can get Visa on arrival! Students from .Papua New Guinea. do not need to obtain a study Visa and can get Visa on arrival! Students from .Paraguay. do not need to obtain a study Visa and can get Visa on arrival! Ordinary and official passport holders from Paraguay are exempted from visa for their travels up to 2 months. Students do not need to apply for a visa before traveling to North Cyprus once they secure their acceptance letter and tution fee payment confirmation, they are ready to travel..
Students from .Saint Kitts and Nevis. do not need to obtain a study Visa and can get Visa on arrival! Ordinary and official passport holders are from Saint kitts and Nevis are exempted from visa for their travels up to 3 months. Students do not need to apply for a visa before traveling to North Cyprus once they secure their acceptance letter and tution fee payment confirmation, they are ready to travel. Students from .Saint Lucia. do not need to obtain a study Visa and can get Visa on arrival! Ordinary and official passport holders from Saint Lucia are exempted from visa for their travels up to 6 weeks. Students do not need to apply for a visa before traveling to North Cyprus once they secure their acceptance letter and tution fee payment confirmation, they are ready to travel. Students from .Saint Vincent and the Grenadines. do not need to obtain a study Visa and can get Visa on arrival! Ordinary and official passport holders from Saint Vincent and the Grenadines are exempted from visa for their travels up to 1 month. Students do not need to apply for a visa before traveling to North Cyprus once they secure their acceptance letter and tution fee payment confirmation, they are ready to travel. Students from .Samoa. do not need to obtain a study Visa and can get Visa on arrival! Students from .San Marino. do not need to obtain a study Visa and can get Visa on arrival! Students from .Sao Tome and Principe. do not need to obtain a study Visa and can get Visa on arrival! Students from .Seychelles. do not need to obtain a study Visa and can get Visa on arrival! Students from .Solomon Islands. do not need to obtain a study Visa and can get Visa on arrival! Students from .Suriname. do not need to obtain a study Visa and can get Visa on arrival! Students from .Taiwan. do not need to obtain a study Visa and can get Visa on arrival! Students from .Timor-Leste. do not need to obtain a study Visa and can get Visa on arrival! Students from .Togo. do not need to obtain a study Visa and can get Visa on arrival! Students from .Tonga. do not need to obtain a study Visa and can get Visa on arrival! Students from .Trinidad and Tobago. do not need to obtain a study Visa and can get Visa on arrival! Ordinary and official passport holders from Trinidad and Tobago are exempted from visa for their travels up to 3 months. Students do not need to apply for a visa before traveling to North Cyprus once they secure their acceptance letter and tution fee payment confirmation, they are ready to travel. Ordinary and official passport holders are exempted from any visa requirements. Students do not need to apply for a visa to study in North Cyprus, once they secure their acceptance letter and tution fee payment confirmation, they are ready to travel. Students from .Tuvalu. do not need to obtain a study Visa and can get Visa on arrival! 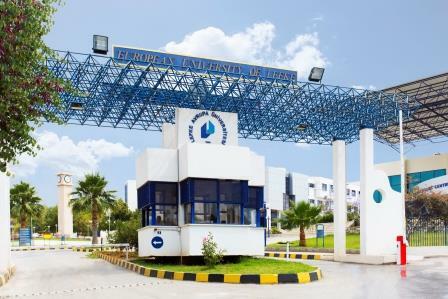 The United Arab Emirates ordinary passport holders are exempted from visa to enter Turkey or North Cyprus, however, students can obtain their sticker type visas at the Turkish border gates upon their arrival meaning they do not need to visit the Turkish embassies at their local country before they travel. Therefore, once a student secures the acceptance letter and tuition fee payment confirmation letter from the university they are ready to book a flight and travel. Students from .Uruguay. do not need to obtain a study Visa and can get Visa on arrival! Ordinary and official passport holders from Uruguay are exempted from visa for their travels up to 3 months. Students do not need to apply for a visa before traveling to North Cyprus once they secure their acceptance letter and tution fee payment confirmation, they are ready to travel. Uzbekistan ordinary passport holders are exempted from visa for their travels up to 3 months. Students do not need to apply for a visa before traveling to North Cyprus once they secure their acceptance letter and tution fee payment confirmation, they are ready to travel. International Students who belong to the EU are free to enter North Cyprus and apply for a student visa when they get there. Students from countries which do not belong to the EU must have a student visa for entry to North Cyprus. Student visas are issued only to full-time international students, however, some countries from Asia, Africa, North and South America do not require Visas to travel to North Cyprus. Please contact RocApply for more more information. The visa requirements stated on this site are specifically for North Cyprus, South Cyprus is part of the EU and therefore has different Visa Requirements. North Cyprus unfortunately does not have embassies in every country. If your country does not have a North-Cyprus Embassy the Turkish embassy is the official embassy to submit your documents and process your application for a visa to the Republic of Northern Cyprus. Photocopies of your passport, which has to be valid for at least 6 months. Filled-in Visa Application form. 2 passport size photographs Unconditional Admission Letter from the University. Letter from the university confirming or acknowledging receipt of payment. Copies of High School, college and university certificates (W.A.S.C., NECO, S.S.C.E., High School, etc.) Guarantee letter signed by the sponsor and the student, stating that the sponsor will cover all the expenses of the student, and the student will never apply to any person or institution (including university) for financial support or scholarship, certified by a public notary. Officially approved bank statement for the last 3 months Consent letter from the parents if you are less than 18 years old. (Sealed by notary or court.) Flight reservation. Sponsor's ID, photocopy of sponsor's National ID Card or International Passport or Driver's License. “Vaccination Card” for yellow fever and typhoid diseases. If you fail to submit all the documents in time, the embassy will ask you to book another date for your appointment, therefore to avoid delays please submit all the documents in full. As the Visa process for international students can take up to 3 months, depending on the country, we strongly encourage you to calculate enough time for it. Upon arrival in North Cyprus, students are expected to obtain a student permit which will allow them to be legally acknowledged in the Country. For new students, they have nothing to worry about since RocApply and the university's international students office officials will assist you through this process. The cost of for obtaining the student permit is approximately 60 Euros. Please note that students will be given time to prepare for this process (up to a month after arrival), however as Rocapply we advice students to travel with the funds to process their Student permit as soon as they arrive. Students will be required to submit their enrollment documents to extend the student visa on yearly basis.Some students have the possibility to extend for more than a year, however, please check with your respective university concerning the procedure and if your residence status allows you to extend for more than a year. For each and every country there are different processes to extend passports of which RocApply advises students to consult with their respective embassies concerning the process and travel only with a valid passport for at least one year. Whats Next Now that you have the acceptance letter? 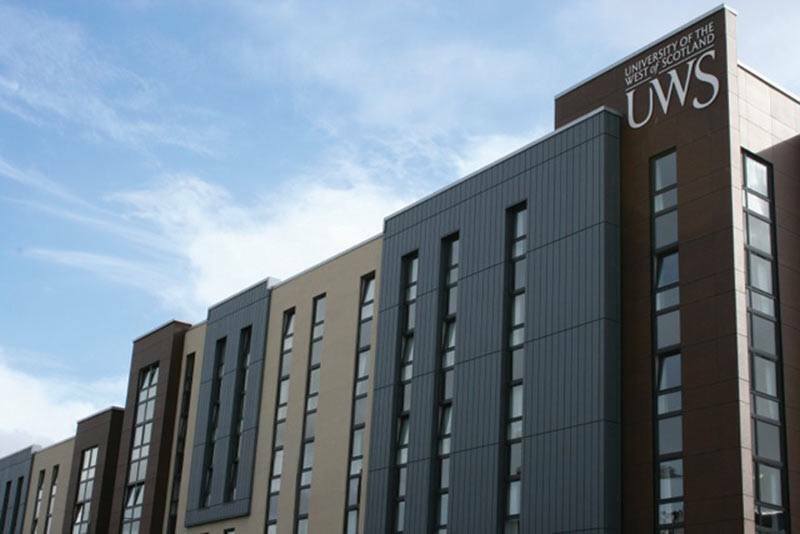 Regarding accommodation, we recommend staying on campus the first year and we will notify the university to reserve you a room as soon as you pay tuition fees. The rent for the room should be around 150 to 200 dollars per month but you only need to pay it when you are there in North Cyprus and the university will also show you many options for accommodation but please be sure before you choose, take a day to really evaluate. The university will give you more than 2-3 days to stay in their dorms for free before you decide which room you would like to take or pay for for the rest of the semester. 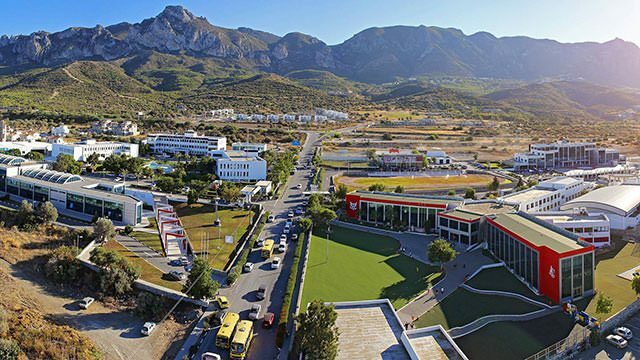 Once you have confirmed your arrival date in North Cyprus please send the university and RocApply an email with your air ticket information so that the university driver can pick you up at the airport. The driver will be carrying a board with the name of the university, just approaching and he/she will have your name on the list. The driver will take you directly to the university. Please note that you do not need to pay for transportation from the Airport to the university on your first arrival date provided you let the university know of your arrival date because they will pick you up and drive you to the university for free and provide with accommodation to sleep. For parents wanting to visit their children studying in Cyprus securing a visa is relatively easy considering that Cyprus in a tourism-dominated economy. 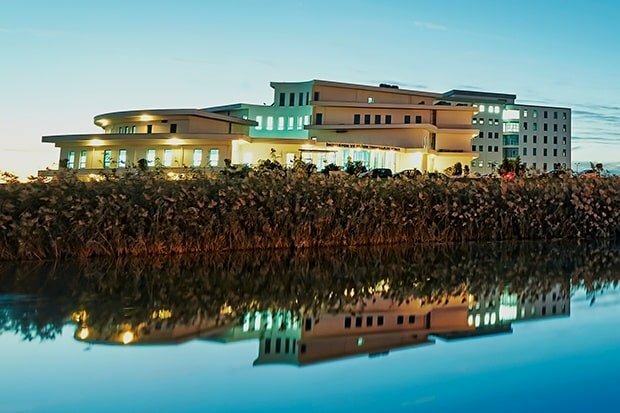 If you are still looking for the right university and affordable programs in North Cyprus visit our Study in Cyprus Page. If you have any questions, want to consult or need help with preparation for visa application please contact RocApply. 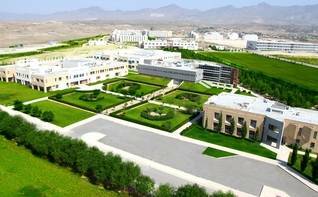 Find programs offered in following Degrees within North Cyprus and apply for free!